The Internet, privacy and the commodification of everything – one reading of the growth of the internet and especially social media is the encroachment of our private lives by capitalism. Now alongside the privatisation of such services as water and power, in recent years our most intimate private lives, friendships and networks have become mere informational commodities to be recorded, commodified and traded. Moreover our ever connectedness through smart phones and other mobile devices mean we are connected to our workplaces, the markets and advertisers twenty-four hours a day seven days a week. It allows for the dystopia of the surveillance society as predicted by Orwell and Foucault. And finally is the very success of social networks built upon the commodified free-labour of users themselves? The internet and open-source as an alternative to capitalism as we know it – the internet its connectivity and its potential for collaborative and co-operative work offers a model to move beyond commodity capitalism. The internet and the alternative media – the internet offers an unprecedented opportunity to working class and subaltern groups, firstly as it offers a cheap and effective platform for the production and dissemination of alternative views and news; secondly as it offers the possibility of two-way and three-way discussion. It bypasses traditional gatekeeping practices of the mainstream corporate media and even within the working class movement bypasses traditional gatekeeping by party hierarchies (by access to party publications and networks). 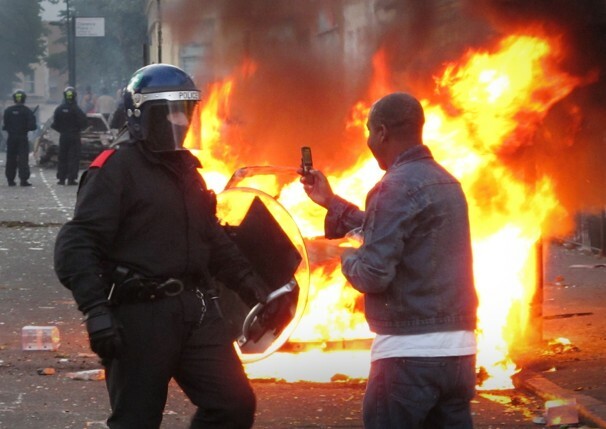 However is so-called ‘citizen journalism’ a match for the resources and power-structures of the corporate media? The internet as a site of struggle – As seen in the Arab Spring and in battles over copyright legislation the internet is becoming more and more a site of struggle itself. How will the state react to perceived threats coming from hacker activists and how will users of the internet react to current state policies attempting to bring capitalist laws on copyright to the cyber sphere? The internet and its relation to the material base – the internet and other communicative networks can be perceived in terms of the base/superstructure as defined by Marx. In a rethinking of the base /superstructure concept what is the relationship between material ‘reality’ and the internet. How does the internet effect the economic and social base in terms of politics and class struggle and indeed how does the material base of class and the relations of production affect the development of the internet itself?